On my recent trip to my favorite grocery store, the meat department was having a special on Hungarian sausage. 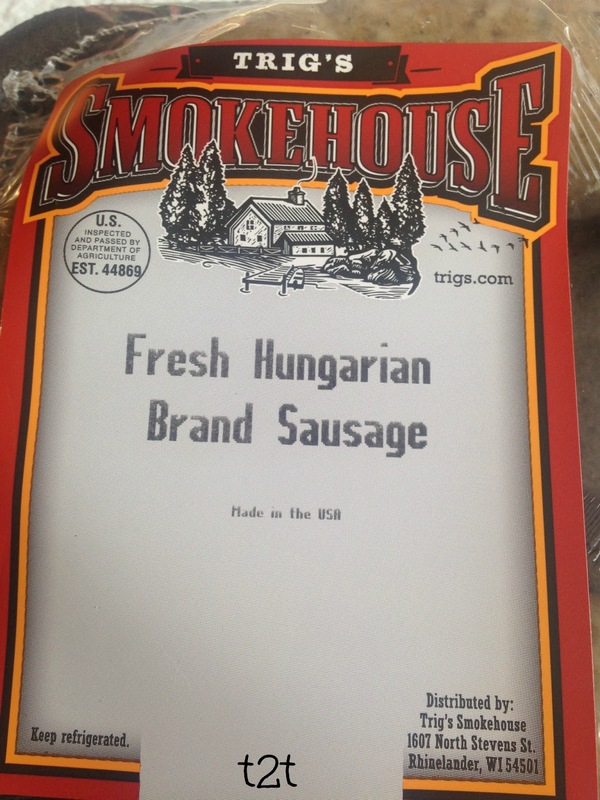 Since I had never tried Hungarian sausage before, I quickly picked up a package.Trig’s Smokehouse is well known for their delicious sausage and bratwurst, so I knew it was going to be good….and it was. Smoky, Spicy and Delicious. 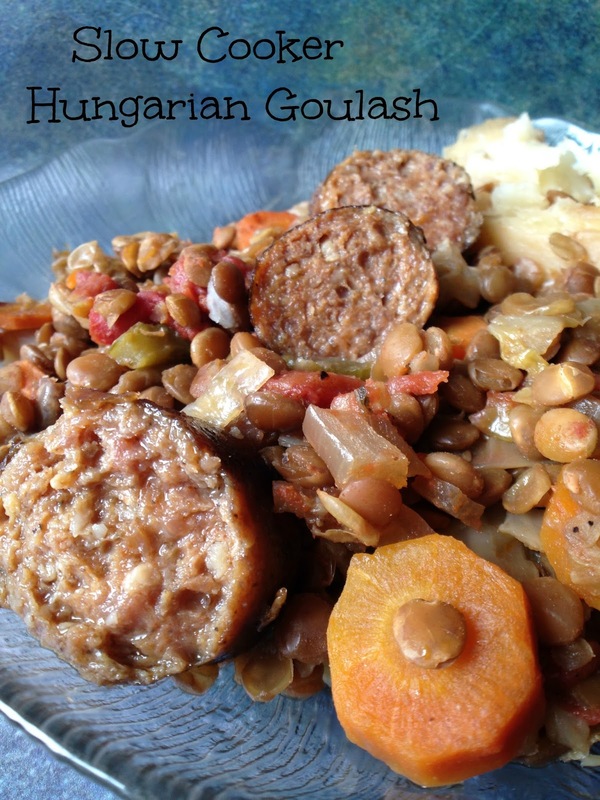 I couldn’t think of a better way to showcase this spicy sausage, than in a ‘goulash’ or ‘stew.’ This ‘goulash’ also has another favorite ingredient of ours, dried lentils. 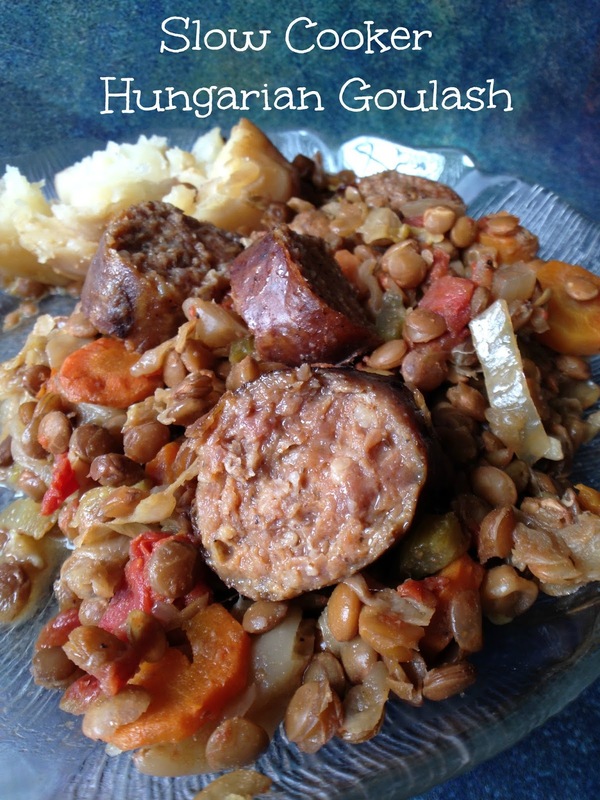 Lentils are great to use in any stew-style, slow cooker recipe. Lentils don’t need to be pre-soaked or pre-cooked before adding to the slow cooker. Lentils only need to be rinsed and lentils cook up beautifully. 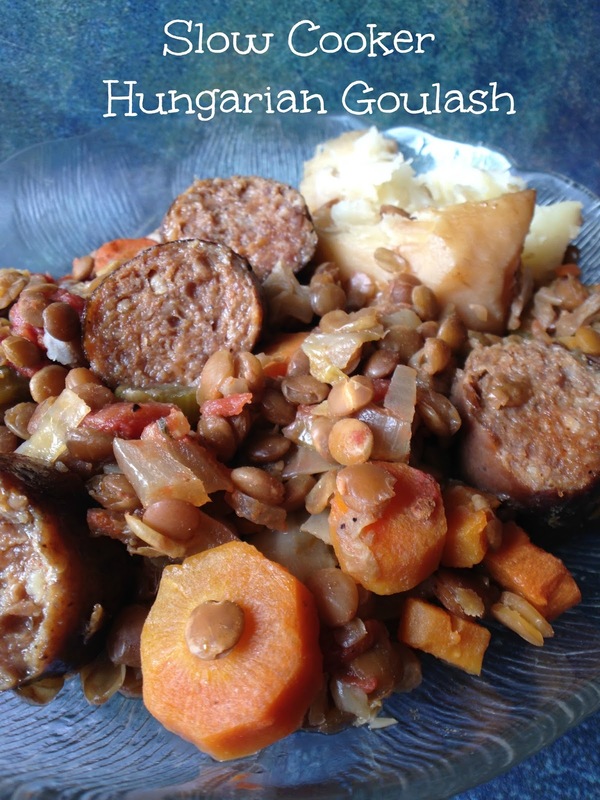 Lentils add extra fiber and vitamins, at a very low cost. Use any type of smoky, spicy sausage in this recipe if you can’t find Hungarian sausage. In a slow cooker layer butter, onions, lentils, carrots, celery, garlic, can of diced tomatoes and shredded cabbage. Gently mix together. 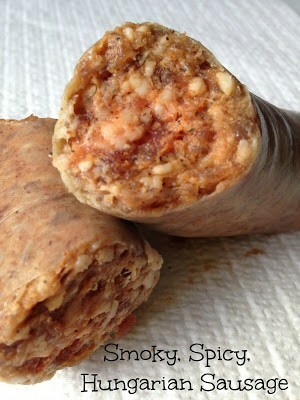 Lay kielbasa pieces on top. Top with Worcestershire sauce, hot sauce, paprika, garlic powder, onion powder, salt, celery seed, pepper, nutmeg and apple cider vinegar. Sprinkle top with dark brown sugar. Add potatoes, pour chicken stock or broth over all. Cover and cook on low for 8 to 10 hours or until lentils are tender.